NERC stands for Nigerian Electricity Regulatory Commission and by its name, it’s obvious that they are empowered to oversee everything that has to do with how you and I get our electricity. 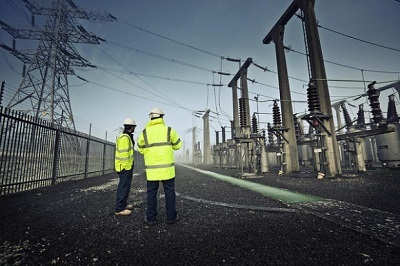 The Commission derives its powers from the Electric Power Sector Reform (EPSR) Act, 2005 to ensure an efficiently managed electricity supply industry and mandates the commission to ensure that electricity investors recover costs on prudent investment and provide quality service to customers. · It is your right to electric service and accurate electric meter/billing. · All new electric connections must be done strictly on the basis of metering before connection. That is, no new customer should be connected without a meter first being installed. · Customer who elects to procure meter under the Credited Advance Payment for Metering Implementation (CAPMI) scheme must be metered within 60 days, failure in which the electricity customer will neither be billed nor disconnected by the electricity distribution company. · It is your right to transparent electricity billing. Unmetered customer should be issued electricity bills strictly based on NERC’s Estimated Billing Methodology. · It is your right to contest any electricity bill. Any unmetered customer who is disputing his/her estimated bill has the right not to pay the disputed bill, but pay only the last undisputed bill as the contested bill go through the dispute resolution process of NERC. · It is your right to be notified in writing ahead of disconnection of electricity service by the electricity distribution company serving you. · It is your right to prompt investigation of complaints arising from your electricity service. · It is not the responsibility of electricity customer or community to buy, replace or repair electricity transformers, poles and related equipment used in supply of electricity. · All complaints on your electricity supply and otherbilling issues are to be sent to your nearest Business Unit of the electricity company serving your premises. If your complaint is not satisfactory addressed you can forward your complaint to the NERC Forum Office within the coverage area of your electricity distribution company. Electricity customers also have the right to appeal the decision of the Forum at the commission (NERC). Are abortions legal in Nigeria?